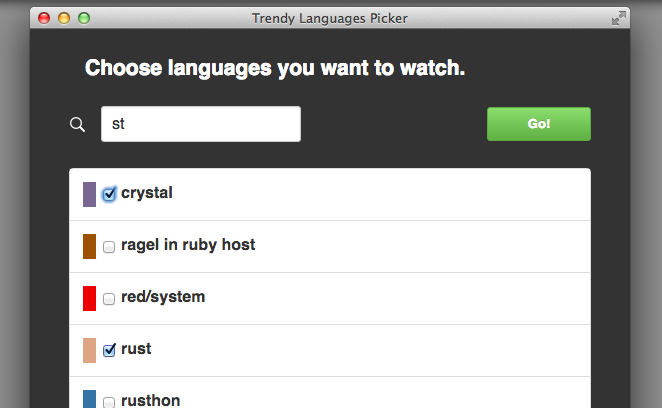 Trendy is a GitHub Trending Repository viewer for trend-conscious people. 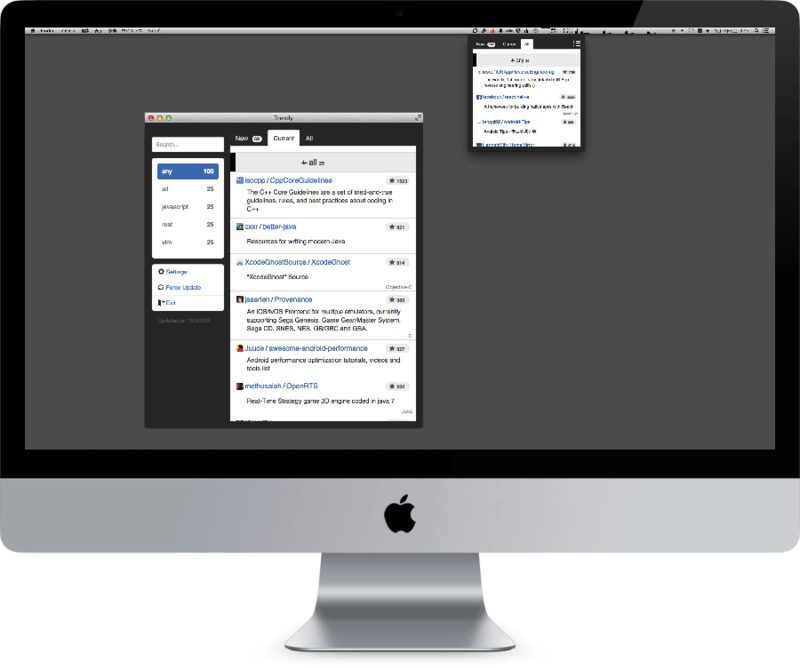 You can watch and manage trending repositories by 'new', 'current' and 'all' tabs and see the README pages with embedded browser like mobile app. For more detail, please see README. 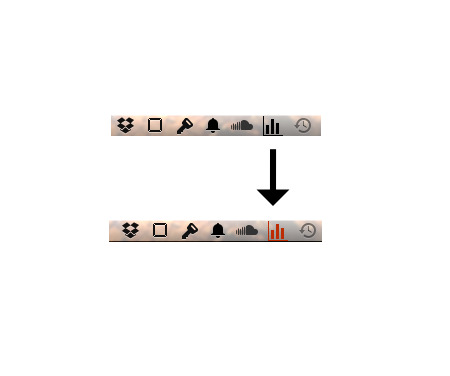 You can select a menu-integrated window or isolated normal window. 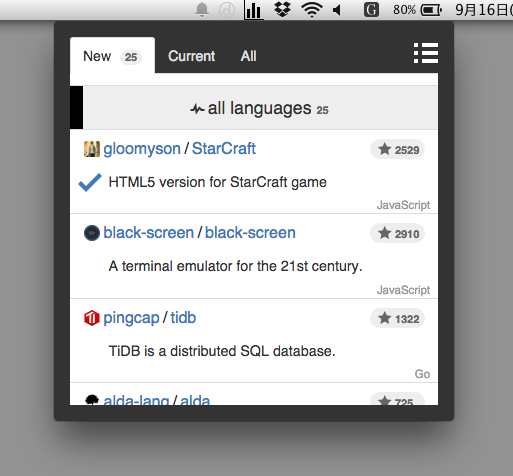 If you want to access to Trendy whenever and wherever, menubar window is better. Currently packages are available for Linux (32/64bit), Windows (32/64bit) and OS X (64bit). Languages picker window will start. Please check your favorite languages to watch. At last push 'Go' button to start Trendy.